1. Maleficent laid an egg. There is no explanation. While in dragon form she laid an egg. Snowing, after a unicorn gives Snow a vision of teen Emma ripping her heart out (#SwanQueen), decide to steal said egg and have the Sorcerer transfer all of Emma’s evil potential into the baby dragon. They knock out guard-queens Ursula and Cruella but Mama Mal catches them stealing the egg so they use it as a shield to escape her – but promise to bring it back once it’s imbued with their baby’s Evil or whatever. However! 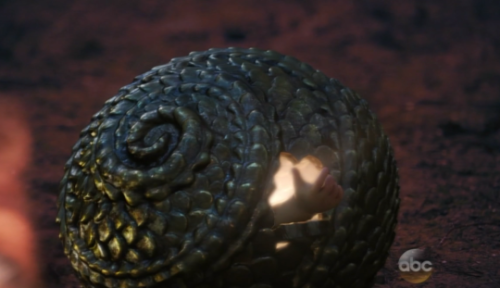 After the Sorcerer injects the egg with Emma’s Evil he decides the baby’s too dangerous to let it live in the Enchanted Forest and sends it to our world via portal (that he conjures up out of nothing LOL Rumple is pathetic but I digress). As all this is happening the egg starts to hatch and Snowing realize that it’s not a dragon baby but a human baby and suddenly start to feel bad about what they’ve done. But too late, the egg tips over into the portal and then Mal’s bumbling henchmen Ursula and Cruella fall in after and the Sorcerer is like, whatever, they deserve their fate and bounces as Snowing start to cry about how their racist plan to genetically engineer their baby into a Hero by injecting its Evil DNA into an innocent half-dragon baby they stole from its mother turned them into Villains, capital V.
2. 30 years later, Snow is still crying about it. 3. 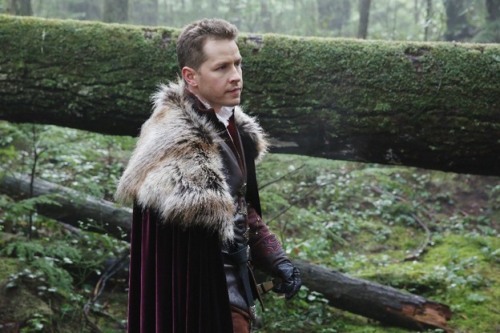 But Charming, in easily my favorite part of the episode, decides before Emma’s birth that the only way to be redeemed is to spend the rest of his life being the Most Good, Most Moral, Most Heroic, Hero of all. It is the origin story of Charming’s Ned Starkian bullheaded heroism. Love! 4. That same bullheadedness drives him to take the Author’s door page and key (I could explain what that means but it is so not worth explaining) from Henry with the intent to burn it and trap the Author in the Book forever and ever. But Snow has a sudden 30 years late realization that they are going about all of this the wrong way. 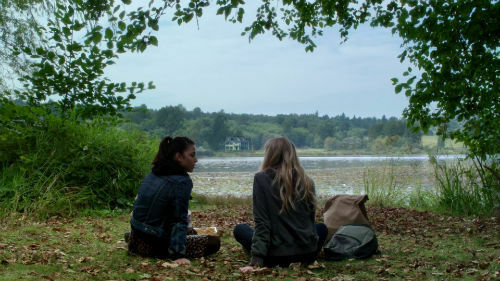 They decide to tell Emma the truth. 5. For the past 5 episodes or so, Emma’s lie detector powers have been going off whenever her parents were around but she accepted their shifty responses to her inquiries because she’s decided to try and be more open to love and trust and pixie dust. So she reacts poorly to their admission that actually she was entirely correct and they’ve been lying to her for weeks and really, actually, basically her entire life. So when I say “reacts poorly” I really mean “reacts appropriately” by getting the hell away from her parents’ toxicity. 6. Meanwhile August is sick because his body has been transformed by magic one too many times. Emma is super adorably worried about him and Hook gets jealous but Emma explains that August was her first real friend since Lily so he’s special. This is the clunky reminder that Lily exists (I mean, I would never forget, but) and the clunky reveal that August is totally not a love interest and also never was. It’s suuuuuuper clunky but I love their relationship anyway. 8. Meanwhile meanwhile Regina does everything right and is punished for it and ends the episode unconscious in her vault with Rumple telling Mal he has exactly the thing that will allow him to get her to do his bidding and I hate everything. 9. 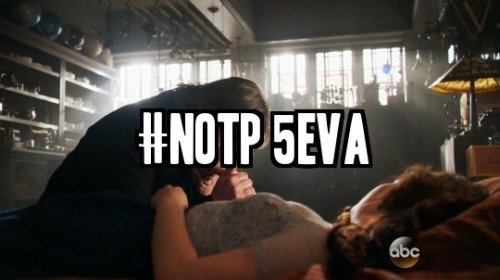 Meanwhile meanwhile meanwhile Belle spends the entire episode asleep and only appears for Rumple to literally arrange her unconscious body and then monologue at her about his feelings, which, by the by, have absolutely nothing to do with her as a real person, just her as his redemption and/or prize. He kisses her hand and promises to be back, if he can and I PRAY TO EVERYTHING THAT HE CANNOT. 10. They let the Author out of the book and it’s revealed that a) he is just the latest in a long line of authors starting with, I kid you not, WALT, and b) this Author manipulated everything that happened in the past this episode. So don’t worry, Snowing and the Sorcerer are still not really, really responsible for their completely evil and also stupid actions. 11. Henry’s middle name is Daniel.